Greg Barner creates fabulous quilts in a variety of styles. His work is bursting with color and geometric shapes. 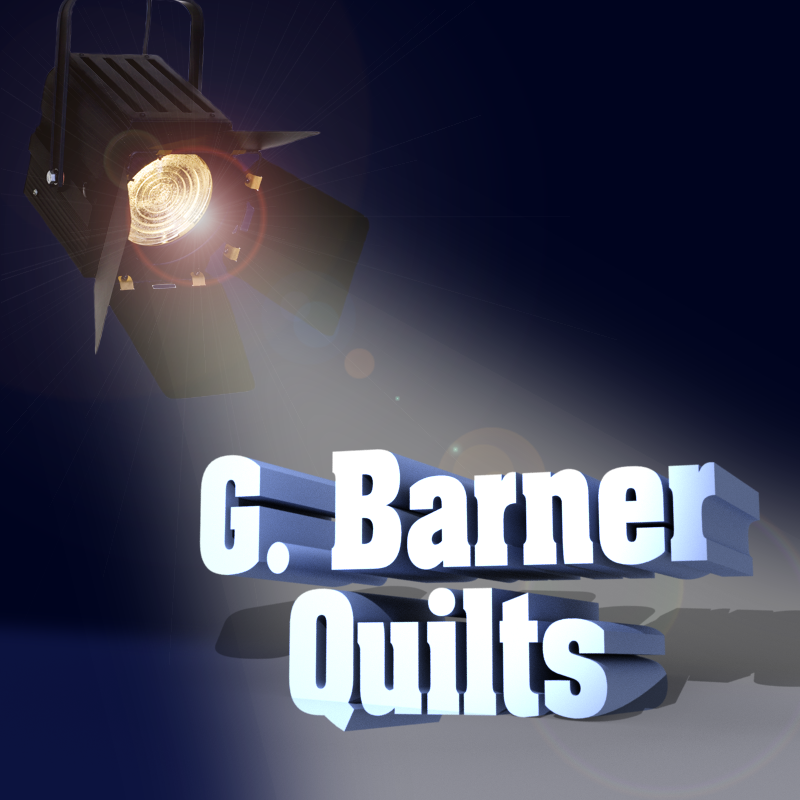 Visit his site, www.gbarnerquilts.com to see a wonderful gallery of his work. You can see a small selection of his wonderful quilts in the picture gallery in the middle of this post. He also instructs and gives classes in the art of quilting. Here’s what he had to say about his craft, the industry and why he uses EnMart products. GB: I started quilting fourteen years ago when I needed something to do that was creative, mathematical and involved problem solving. Quilting fit the bill. When my mother retired she took up quilting for others and I would help once in a while. When I neared retirement I knew I needed something to fill my spare time so I took up quilting with the intention of seeing how good I could get and doing some instructing. I continue to work at getting better and I have done quite a bit of instructing around the area. What is the biggest challenge you face in your work? GB: I like the challenge of learning new techniques and patterns, but I also like creating my own patterns, especially abstract patterns. In fourteen years of quilting I have not lost interest in learning more. What do you think is the biggest challenge facing your industry as a whole? GB: There are a lot of quilters in Michigan, especially Northern Michigan. The biggest challenge is to continue to grow as an industry, involving more people in quilting, particularly the younger generation. Another major challenge is cost, mainly the cost of fabric which continues to increase. If the pattern continues it will make it difficult for some people to continue because they can’t afford the fabric. Were you always creative? Did you make things as a child? GB: I have always been doing something creative. Growing up I was involved in vocal music and drama as well as sports. I taught elementary school for forty years and tried to be as creative as possible in my approach. Was there a mentor or someone in your field that helped you when you were starting out? GB: My quilting is mainly self taught (trial and error a lot of the time). I do have an extensive library of quilting books and magazines for ideas. I have found shop owners and other quilters very willing to help me improve. What one tip would you give people starting out in your field? GB: I would encourage people starting out to pick smaller and simpler projects to learn with. This would allow a person to experience more techniques in a shorter time and perhaps with less frustration. What are your goals for your business? GB: My goals for the future are to continue to experiment with new patterns and techniques. I would like to create more of my own patterns. What products sold by EnMart do you use most, and why? GB: I was introduced to Iris threads a number of years ago by an embroiderer. I piece (sew) with the Iris Ultra Cotton thread and I quilt almost exclusively with Iris thread. My long arm works really well with the Iris UltraBright polyester thread and customers like the look of it. I have tried other threads, but my long arm quilter prefers the Iris thread. Note: If you’ve visited the EnMart booths at AQS Paducah or Quilt Market in Houston, you’ve seen Greg’s work. He very graciously allows us to display his quilts in our booth at these shows.